Once we have received your initial enquiry, our Auctioneer will personally call you to discuss your needs. After assessing the situation we will then instruct our surveyor to attend the property, at no cost to yourself, to establish a guide price for Auction. Following the surveyors initial report and taking into account other comparative properties in the area, our Auctioneer will contact you to discuss a recommended guide price and the all important setting of a reserve. The reserve cannot be set at a price higher than the bottom Auction guide price. It is important to set the Auction guide price at a realistic level in order to attract buyers; this in our experience generates enthusiastic bidding to ensure that the best value is achieved. Once you have instructed our Auctioneer verbally we will send out a copy of our Standard Sale Contract and General Conditions of Engagement for signing. At the same time we will instruct your solicitors to prepare a legal pack containing Special Conditions of Sale, Title Documents, Leases (where applicable), Searches, and an Electrical Performance Certificate. This documentation needs to be made available to interested parties either online or by post before the Auction. You will be responsible for all fees relating your solicitor. Once we have received back the signed contract, that is your formal instruction for us to sell the Property. The Property will be inspected by our Surveyor, measurements taken where appropriate and the property will be photographed. Draft sale particulars will be produced and forwarded to you and your solicitor for approval and / or amendments. Once the draft is approved we will begin to market your property for sale in the local press, property publications and vital web portals such as PrimeLocation, Zoopla and our own emailing lists. Viewing – Potential purchasers will want to view your property in the marketing period (generally four to six weeks) and have a survey carried out. Commission – In the event of a Sale, our commission is 2% of the Sale Price plus VAT. No Sale – No Fee There are no fees for our standard advertising package. If we feel your Property will benefit from a more specific advertising campaign, for which charges will apply, we will discuss this with you at the time. Auction Day – Auction Sales are held at our premises in Winchcombe at The Old Boys School, 8 Gretton Road, Winchcombe, Gloucestershire, GL54 5EE unless otherwise stated. Your solicitor should attend the Sale to effect the exchange; if this is not possible we will instruct third party solicitors to act on your behalf. On “The fall of the gavel” an immediate binding contract is formed with the successful Bidder. A non-refundable 10% deposit is taken from the Purchaser on the day of Sale by either banker’s draft, building society, personal or company cheque. Cash is not accepted. Contracts are signed with the balance payable by the Buyer twenty working days after the sale of the property. 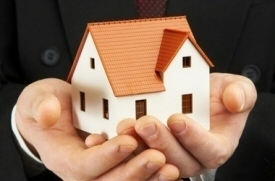 Once in receipt of funds, your solicitor will effect the completion.